At the Toronto library. 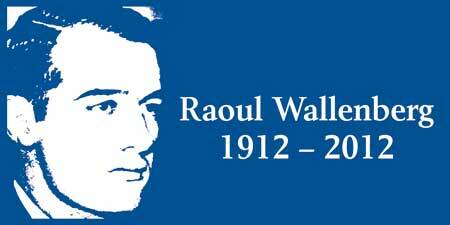 they are paying tribute to a quietly sung hero from World War II named Raoul Wallenberg, a Swedish diplomat who saved tens of thousands of Jewish people from succumbing to the Nazis wrath. He distributed thousands of visas and hid scores of Jewish refugees in Swedish diplomatic buildings. I have been very intrigued by this Swede, who is also surrounded by a cloud of mystery, since he disappeared many years ago. You can read more about his life on Wikipedia and hope you will get a chance to catch this exhibition!